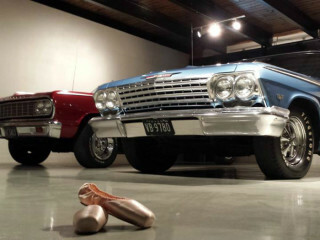 Ballet Austin Guild "Hot Cars & All That Jazz"
This evening fundraising party will feature live jazz, R&B and soul music by Austin's First Lady of Jazz, Pamela Hart, with a tribute to the late, great Timothy Curry. Event proceeds benefit Ballet Austin Academy youth scholarships. This year marks the 40th anniversary of Ballet Austin Guild, a non-profit organization supporting Ballet Austin's educational and community programs benefiting over 57,000 Central Texans each year.